How do I Choose the Best Above Ground Pool Deck Plans? 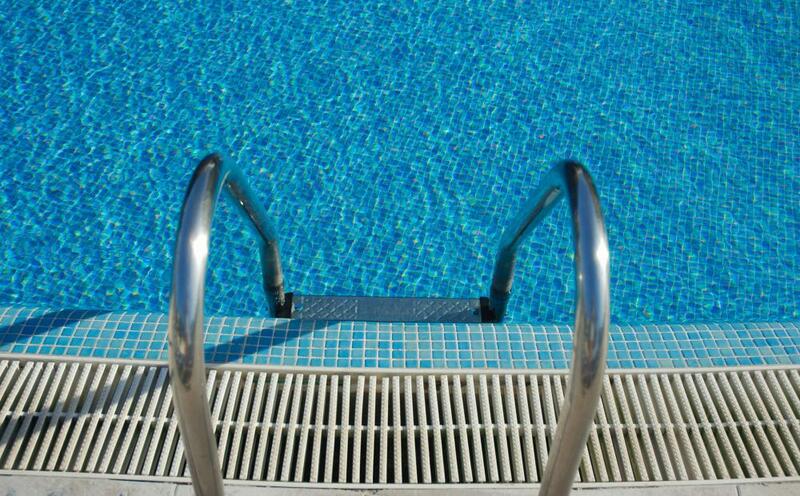 Some above ground pools will require ladders to help people enter and exit the pool. Above ground pool deck plans often focus on making the area surrounding the pool as functional and aesthetically pleasing as possible. When choosing the best plans, you should consider several factors, but first and foremost, consider the cost of the planned deck. You'll also want to think about who the primary users of the pool and the deck will be, what kind of aesthetic you want, and what kind of features you would like to see included. Determine how much room you have to work with, and how much of the yard you want to use up for the deck. Consider the shape and size of your pool when choosing above ground pool deck plans. Your deck should accommodate the specific size and shape of your pool, but more importantly, you must determine if you want your pool deck to be on level with the bottom of the pool or on level with the top. Choosing plans that build the deck up to the height of the top of the pool walls will allow you to enter the pool right from the deck, while plans that have the deck built to the bottom of the pool will require some sort of ladder or steps so users can enter the pool. This is a matter of convenience and cost, as well as aesthetic, and it is an important choice. Determine how much space you want to have on your pool deck, as well as what other activities might take place on there. You might want to have beach chairs for lying out in the sun or space for a grill, especially if you expect to be entertaining guests at some point. These considerations will help determine the purpose of your pool deck, and you can choose plans accordingly. Be sure to consider safety, too, especially if children will be using the pool. A perimeter fence is a good idea for keeping unwanted guests, such as animals, out of the pool, but it can also keep wandering children from accidentally entering the pool area and falling in. A final consideration for choosing pool deck plans is its position in the yard. Decide whether your deck will be attached to a house or other fixed structure. If so, consider the transition from the house to the deck, as well as the aesthetic of the house. It should fit the color scheme or decor of the house as closely as possible. How do I Choose the Best Above Ground Pool Fence? What is a Roof Deck? How do I Choose the Best Pool Deck Paint? How do I Choose the Best Deck Builder? What are the Best Tips for Above Ground Pool Landscaping? What are the Different Types of Pool Decks?